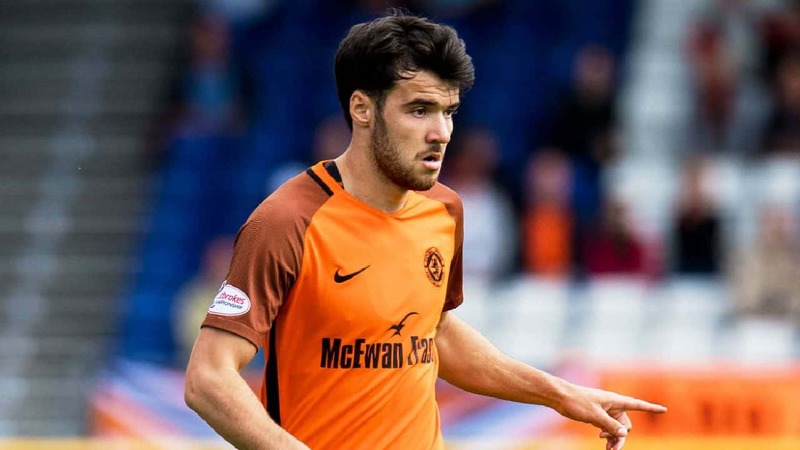 This season has seen Dundee United midfielder Scott Fraser establish himself as one of the most consistent and technically gifted players in the Scottish Under 20’s league. The 19 year old born and bred Dundonian is a predominantly left sided midfielder with quick feet and impressive range of passing and close control, many of these attributes that can be found in his one of his childhood’s favourite players Zinedine Zidane, who he grew up watching. Scott played his first competitive football aged 8 years old for local Dundee team The Dee Club and shortly after joined Longforgan Boys Club in which he played with current United team mate Scott Smith. After showing promise and obvious potential Scott signed for Dundee United aged 10 and throughout all the age groups impressing coaches throughout Scotland. Aged just 16 Scott joined the first team for his first pre-season as a full time suffered a set-back breaking his leg in training and was out for a full year, with former manager Peter Houston commenting “I’m gutted for the lad, and hoped he would make an impact for this season”. For such a young player at the time, there was no doubt that the coaching staff at Tannadice saw something in the play making midfielder. This season has seen Fraser play a predominant role in Stevie Campbell’s under 20’s side. Fraser’s contributions throughout this season have not gone unnoticed, one being him winning the clubs Under 20’s player of the year. An achievement that shouldn’t be under looked when a club boasts young talent in the under 20’s such as Aidan Connolly, Scott Smith and Darren Petrie who is currently on loan to Brechin FC. Fraser’s inevitable first team debut was on Sunday the 11th of May against his Celtic the team he watched and supported as a boy at a packed Celtic Park, coming on for John Rankin at 83 minutes. Although he only was only on the pitch for 7 minutes it was clear that the midfielder had talent. His first time on the ball was on the right flank when he drove at Scott Brown and cut onto his left foot passed the Celtic midfielder. It was a brilliant moment, knowing that the Dundee United Academy was showing no signs of talented youngsters drying up. Scott told me “I was nervous and exited at the same time. Jackie (McNamara) just told me I was good enough and to just go out there and enjoy it”. Although it was a disappointing result to lose that game showed that United don’t need to worry when the likes of Stuart Armstrong, Gary Mackay-Steven and Ryan Gauld move on. #what does twitter say about him? @CoachCraigie- “Scott Fraser, next big thing to hit the first team”.